454-502-540 Automotive / Marine TPI System w/ GM ECU & Harness. 454-502-540 Automotive TPI System w/ GM ECU & Harness. 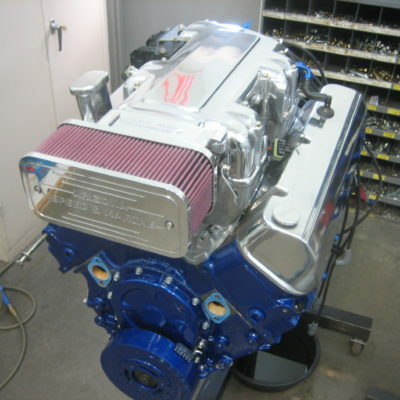 The ASM big block tuned port injection is designed for any cubic inch big block Chevy engine, large rectangle port. The basic unit consists of a lower manifold assembled with the 48 lb/hr injectors, fuel rails and fuel regulator, upper plenum with linkage assembly, 58mm throttle body, GM computer with a custom program, complete wiring harness, all sensors, distributor and coil and all mounting hardware.